Black Friday deal: Save £500 on Award-winning Optoma UHD65 4K projector | What Hi-Fi? You may recognise the Optoma UHD65 4K HDR projector. Not only is it a five-star 4K projector, it's also a 2018 What Hi-Fi? Award winner. And now it can be yours thanks to a hefty Black Friday discount courtesy of Sevenoaks and Superfi. The Optoma UHD65 4K HDR projector has £500 slashed off its price tag and is now down to £2,499 from £2,990. It's a sophisticated projector for the money that boasts an impressive level of detail and displays a good range of colours. It's a good upscaler of SD and HD content too. It might not have all the bells and whistles of a high-end 4K projector, but it is future-proof and should keep you happy for years. 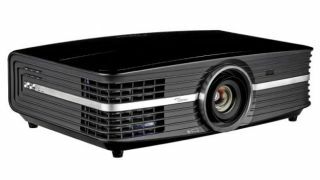 And, just in case one Award-winning projector saving isn't enough, you can also enjoy a £200 saving on the Optima UHD40 which is down from £1199 to £999 at various retailers.